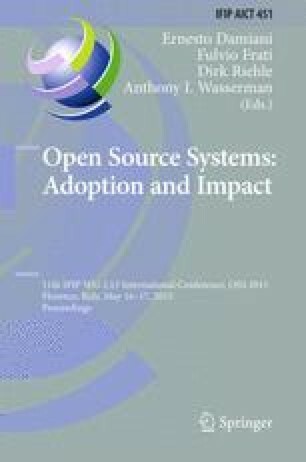 The purpose of this paper is to identify the influence of Outsourcing on Open source software (OSS) and further investigate the factors that impact the adoption of OSS in global Information Technology (IT) outsourcing organizations serviced by Indian IT services providers. This exploratory research adopted positivism research philosophy and qualitative approach. An in-depth interview was conducted with ten participants across IT outsourcing organizations, IT service providers, and OSS service providers. The results show that IT outsourcing was not found to have an impact on OSS adoption. However, eight factors including management support and OSS support availability was identified to influence OSS adoption. IT services providers can utilize this research model to increase their understanding of why some IT outsourcing organizations choose to adopt OSS, while seemingly similar ones facing similar market conditions do not.